State Bank of India (SBI), HDFC Bank and ICICI Bank hiked their MCLR or marginal cost of funding-based rates this month, among many other banks. MCLR is generally referred to as the minimum lending rate below which a bank cannot lend. With that move, EMIs of loans such as home loans also increased. While increasing the lending rate by 10 basis points across all tenors up to three years, ICICI Bank and HDFC Bank raised the MCLR by the same margin in select tenors. SBI currently charges an interest rate of 8.45-8.55 per cent from salaried women borrowers for home loans (term loan) up to Rs. 30 lakh. For other borrowers, the rate is 8.5-8.6 per cent, according to SBI’s website on home loans – homeloans.sbi. Under the non-salaried category, SBI charges an interest rate of 8.6-8.7 per cent for home loans up to the same amount from women borrowers, and 8.65-8.75 per cent from other borrowers. The interest rate, according to SBI, is based on the customer’s LTV (loan-to-value) ratio. LTV ratio determines the ratio of amount of loan compared with the property value. For example, the higher the LTV, the higher the EMI buy, the lower the down payment required. SBI charges an amount equal to 0.35 per cent of the loan amount as processing fee for home loans, subject to a minimum of Rs. 2,000 and a maximum of Rs. 10,000, according to the bank’s website. For salaried individuals, HDFC Bank currently charges an interest rate of 8.5 per cent for ARHL or adjustable rate home loan from women borrowers, and 8.55 per cent in case of other borrowers. For self-employed individuals, the bank charges an interest rate of 8.55 per cent for loans granted to women borrowers, and 8.6 per cent from other borrowers, according to its website – hdfcbank.com. “The rates above are variable in nature and linked to HDFC’s RPLR (Retail Prime Lending Rate) and shall fluctuate according to the movement in the same,” HDFC Bank explained. ICICI Bank charges an interest rate of 8.55 per cent for home loans granted to salaried women borrowers. For other salaried buyers, the bank has set an interest rate of 8.6 per cent. Under the self-employed category, ICICI Bank charges an interest rate of 8.7 per cent for loans granted to women borrowers, and 8.75 per cent in case of other borrowers, according to the bank’s website – icicibank.com. ICICI Bank charges a processing fee of an amount equal to 0.5 per cent of the loan amount plus the applicable service tax, according to the bank’s website. Meanwhile, the Reserve Bank of India (RBI) earlier this month hiked the repo rate – the key rate at which it lends short-term funds to banks – for the first time in four-and-a-half years. 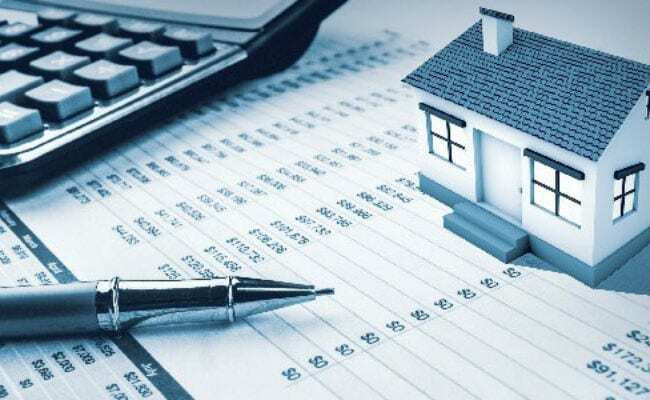 Banks currently follow an MCLR-based method for setting lending rates, wherein they calculate the benchmark lending rate by using the cost incurred on incremental deposits, not average cost of deposits.